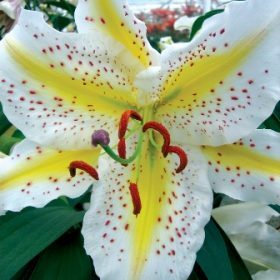 African Queen is highly fragrant lily and suitable for all gardens. 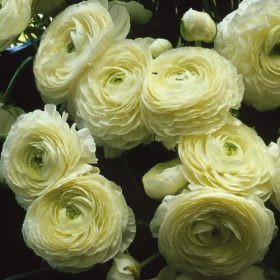 African Queen is a traditional trumpet variety with large Apricot/orange trumpet flowers. 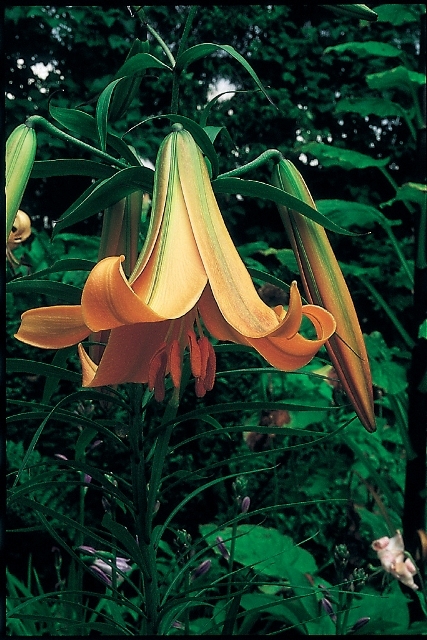 Trumpet lilies like African Queen are very fragrant and ideal for the garden or when grown in containers. 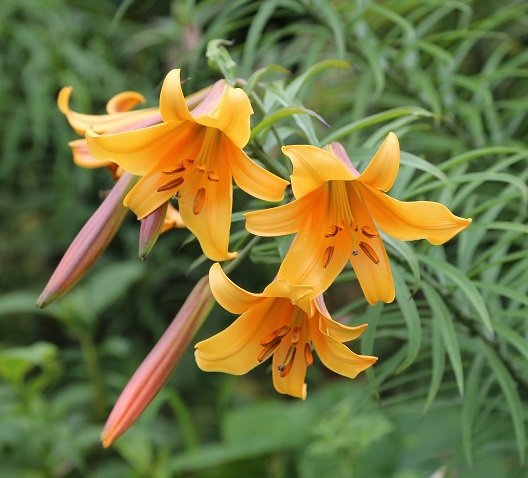 Lilies are very hardy and can be left to naturalise in the garden for many years. 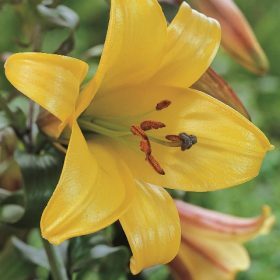 Lilies are a very versatile garden plant as they are ideal when grown in borders or containers around the house and garden. Once planted lilies are best left undisturbed for a number of years. Cultivate soils to a depth of 25cms and plant bulbs 15cms deep and 15cms apart. In heavy soils add humus matter and a handful of grit to the hole before planting the bulbs. 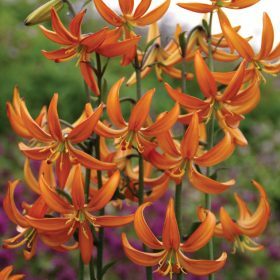 Lilies like to be grown in well drained soils in the cooler or shadier parts of the garden. Lilies do like to get some sun during the day so very shaded areas are not recommended. 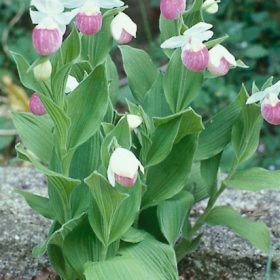 Protect the young shoots from slugs and snails and remember to feed the bulbs with bone-meal or something similar during the flowering period. AGM = Award of Garden merit given by the RHS. Soil type: Humus rich free draining soils that do not get waterlogged. Pests. If Lily beetle is a problem, spray with an appropriate insecticide. Alternatively the orange adults can be picked off and then check the underneath of the leaves for larvae.